TORONTO and NEW YORK , April 11, 2019 /CNW/ - Mountain Province Diamonds Inc. ("Mountain Province", the "Company") (TSX and NASDAQ: MPVD) is pleased to announce an update to the Mineral Resource Estimate for the Faraday 2 kimberlite, one of three kimberlites located within the Kennady North Project, NWT, Canada . SRK Consulting Inc. ( Vancouver, B.C. ) provided guidance on the evaluation program at Faraday 2 and recently completed a comprehensive review of geological, microdiamond, bulk sampling, and valuation results in order to estimate an Inferred Mineral Resource for the Faraday 2 kimberlite, as provided in the table below. The updated (2019) Inferred Mineral Resource estimate for the Faraday 2 kimberlite was prepared by SRK Consulting Inc. under the supervision of Mr. Cliff Revering , P.Eng. Mr. Revering is a Professional Engineer and an independent, external Qualified Person to Mountain Province under National Instrument 43-101. Mr. Revering has reviewed this release and approved its contents. The technical contents of this news release were reviewed and approved by Dr. Tom McCandless , P.Geo., Vice President Exploration for Mountain Province and a Qualified Person as defined by National Instrument 43-101 Standards of Disclosure for Mineral Projects. 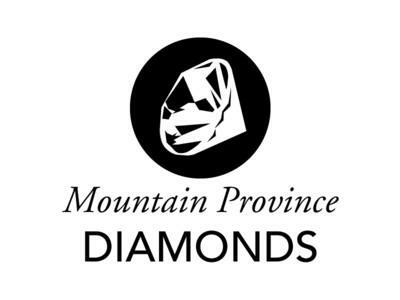 This news release contains certain "forward-looking statements" and "forward-looking information" under applicable Canadian and United States securities laws concerning the business, operations and financial performance and condition of Mountain Province Diamonds Inc. Forward-looking statements and forward-looking information include, but are not limited to, statements with respect to estimated production and mine life of the project of Mountain Province ; the realization of mineral reserve estimates; the timing and amount of estimated future production; costs of production; the future price of diamonds; the estimation of mineral reserves and resources; the ability to manage debt; capital expenditures; the ability to obtain permits for operations; liquidity; tax rates; and currency exchange rate fluctuations. Except for statements of historical fact relating to Mountain Province , certain information contained herein constitutes forward-looking statements. Forward-looking statements are frequently characterized by words such as "anticipates," "may," "can," "plans," "believes," "estimates," "expects," "projects," "targets," "intends," "likely," "will," "should," "to be", "potential" and other similar words, or statements that certain events or conditions "may", "should" or "will" occur. Forward-looking statements are based on the opinions and estimates of management at the date the statements are made, and are based on a number of assumptions and subject to a variety of risks and uncertainties and other factors that could cause actual events or results to differ materially from those projected in the forward-looking statements. Many of these assumptions are based on factors and events that are not within the control of Mountain Province and there is no assurance they will prove to be correct.